A divorce can make you worry about the uncertainty of your future, leading to many serious questions about your family’s security. This process is simplified by working with a team of Bellevue family law lawyers who can help you resolve the situation efficiently. Family law exists to protect you and your family during a divorce, and it is the role of our Bellevue family law attorneys to ensure that your legal rights are protected. Divorce can cause much emotional strain on everyone in your family, especially the children, so our Washington State family law lawyers offer counsel meant to help you stay focused on your goals. With more than 30 years of collective experience, our team of family law professionals in Bellevue are capable of helping you respond to any issues that might arise during a divorce. During this process you need reliable legal counsel, so if you're looking for a qualified Bellevue family law attorney contact the Law Office of Jason S. Newcombe today. 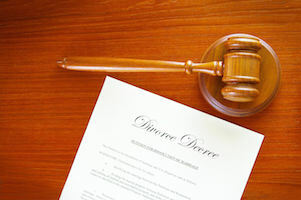 When you work with our experienced Bellevue family law attorneys they immediately start providing you with an idea of what to expect as your divorce negotiations progress. First, your attorney will work with you to identify your goals, and then formulate a plan designed to achieve them. Along the way, we will offer our support during all divorce negotiations, and take your case to court if such an action proves unavoidable. Washington State family law primarily exists to protect children. The law's intent is positive, but it could lead to a judge making decisions on behalf of your family. Our lawyer maintain that you understand the needs of your children better than anyone else, even a judge, so retaining a family law attorney in Bellevue who will protect the interests of your children makes sense. Our Washington State family law lawyers use their extensive knowledge of the law to aggressively fight for clients facing all sorts of serious issues, while always keeping their goals in clear focus. If you have questions about a family law issue, you should talk to an experienced Bellevue legal professional about your situation. Without any cost, our attorneys offer a free consultation, which is a no-risk way to get reliable information concerning the law. As your divorce negotiations progress, it makes sense to maintain a relationship with your Washington lawyer that is based on honesty, mutual respect, and trust. Working with an artful negotiator and aggressive litigator who will fight to protect your rights will aid in your goal to resolve your case favorably.